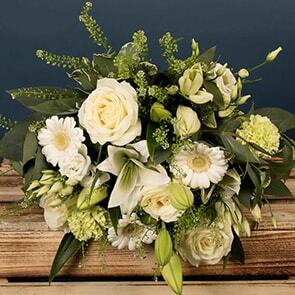 Send Summer Flowers anywhere in Ireland. If thinking of relaxed days by the pool, strolls through the park, and warm nights with the scent of summer flowers lingering in the air makes you feel nostalgic, you’ll appreciate the summer flowers of Bloom Magic. We incorporate only the most vibrant fresh-cut blooms in our arrangements, decadently layer them into opulent arrangements, and then hand-tie them to perfection, so the presentation is nothing short of breath-taking and the bouquet remains fresh for at least a full week upon receipt. 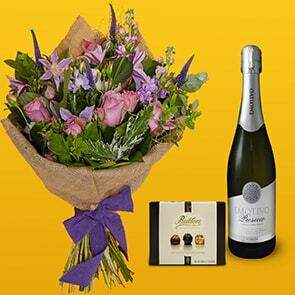 Whether you want to brighten someone’s day or would like to bring the essence of the season into your own home, out next-day flower delivery Dublin and same-day flower delivery Ireland allows you to do so with ease. Our selection is uniquely designed to host a bit of something for everyone, with offerings to satisfy even the most discerning tastes. We work with the country’s top florists to keep our catalogue as fresh as our blooms, so you’ll always find something to tantalize the senses, no matter how often you shop. Our bouquets are designed to minimise the need for packaging, which allows the true beauty of the blooms to shine through, and we source locally as much as possible, further enhancing the quality and freshness of each bouquet. For an added measure of thoughtfulness, include a personal note, delectable chocolates, or attractive vase with your gift. 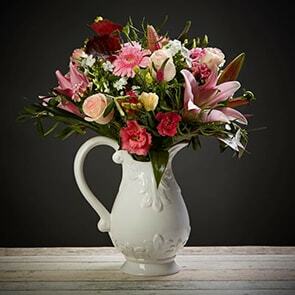 We’re confident that your recipient will love their flowers and that you’ll enjoy your experience with us, which is why we offer a quality guarantee with every order. We’re also available via phone, instant message on the site, and email, should you require assistance at any time. Equally, you can place your order now, without ever speaking with us, and know that our dedicated team will handle your request with the utmost care and that a luxurious bouquet will soon be on the way.